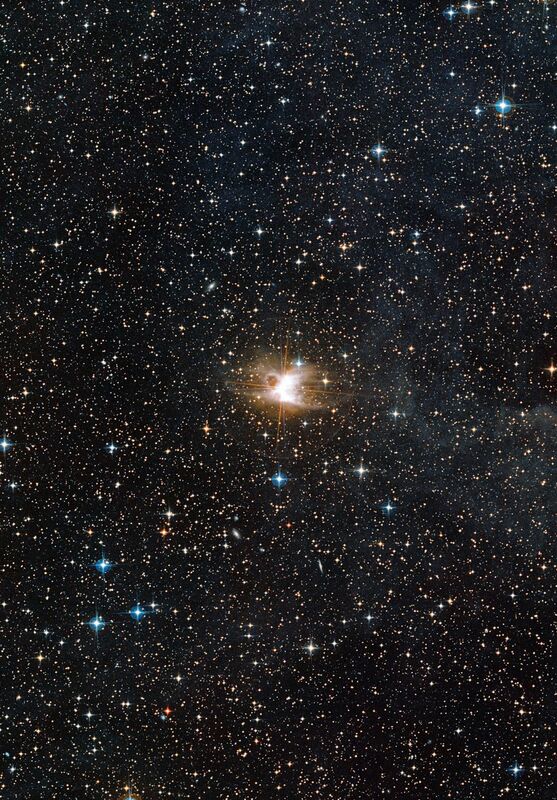 This wide-field image shows the patch of sky around the Toby Jug Nebula (IC 2220). This view was created from photographs forming part of the Digitized Sky Survey 2. The spikes and blue circles around the stars in this picture are artifacts of the telescope and the photographic process.